This is the final post in a four-part series spotlighting bar exam-relevant databases. 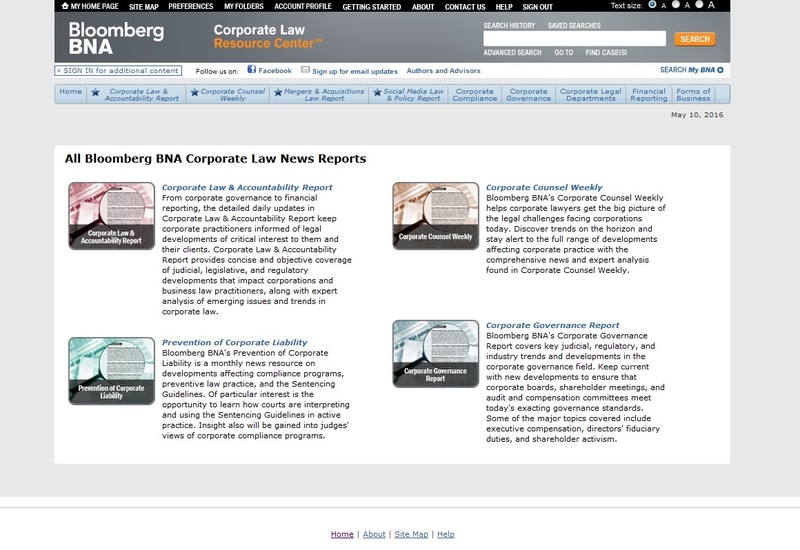 Bloomberg BNA Corporate Law Resource Center is a comprehensive database, providing everything from corporate law news to case summaries to practice tools for attorneys. The Resource Center houses four separate reports: Corporate Law & Accountability Report, Corporate Counsel Weekly, Mergers & Acquisitions Report, and Social Media Law & Policy Report (shown with summaries below). 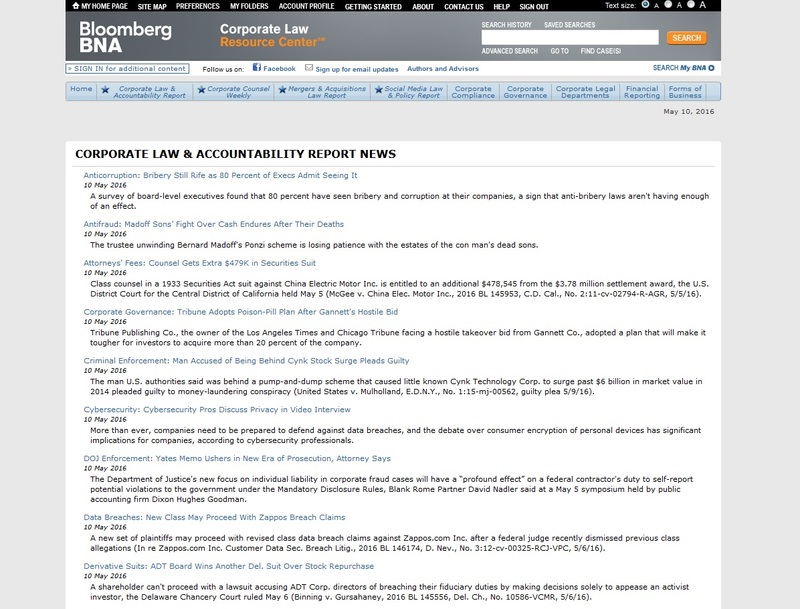 The Corporate Law & Accountability Report and the Corporate Counsel Weekly publish news articles daily (shown below). Unlike the news articles published in the Family Law Reporter, articles in either Corporate reports are not as easily searchable by topic. 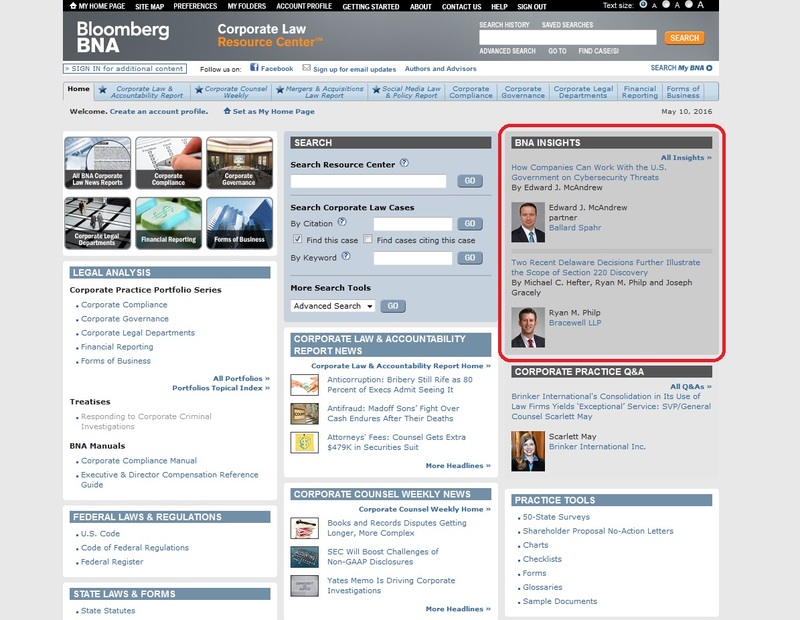 Perhaps the most beneficial avenue in terms of news and information compilation, is found in BNA Insights, located on the left column on the Corporate Law Resource Center home page (shown below). 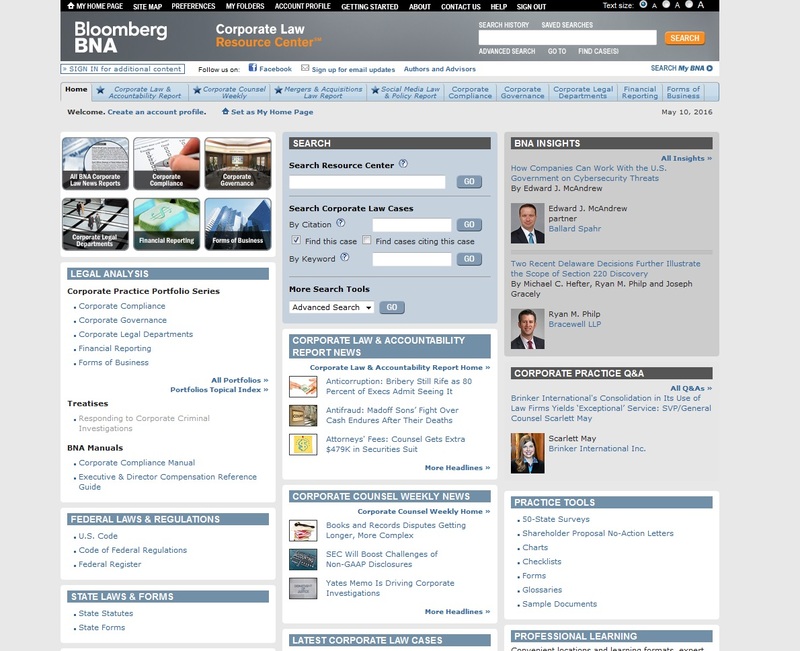 Access to Bloomberg BNA’s Corporate Law Resource Center is available through the Texas Tech Law Library website, under the Electronic Resources tab. Next Next post: Statistical Insight: What is it?